Time for a couple more BOAT mp3s. 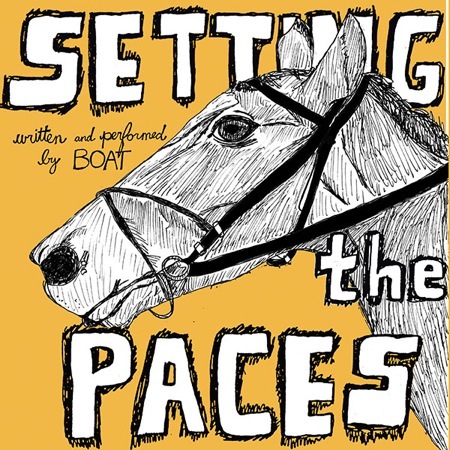 Their new “post twee” LP entitled Setting the Paces isn’t coming out until October 27, but the band has ok’ed the posting of the two lead singles. Here they are. If you haven’t already checked out the track “Name Tossers,” then you should probably click… here. Preorder Setting the Paces sometime in the near future… here (prolly) or here (most likely). Magic Marker page is here. Amazon MP3 page is here (Note: Treble Hooks is by a different band named BOAT).